I am bouncing all over my studio, moving from machine embroidery on my latest apron, to piecing scraps, to hand embroidery on the chopped quilt, to Saturday figure drawing, to assignments for the online class I’m taking with Melanie Testa, which has it’s own sub-momentum of drawing to painting to collage and back to draw some more and then add a bit of paint somewhere else, and then maybe some doodling, and on and on. It seems the more I do, the more I want to do. I’m especially enjoying all the drawing I’ve been doing. It’s coming more naturally the more I do, and adding watercolor painting to my toolbox has only increased my satisfaction. Drawing is much more immediate than sewing and constructing, so they balance each other nicely. I’m trying to make connections between the two, and while it can’t be forced, I know that all my activities are feeding off each other even in the most tangential ways. Where is this leading? Perhaps to nothing more than me being happy with where I am artistically. And I’m OK with that. 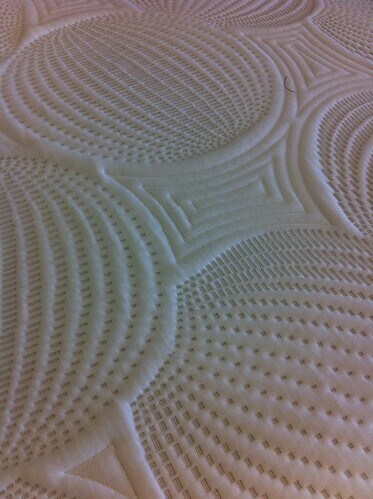 Inspiration in a Mattress Store? When we moved not quite two months ago, we took the opportunity to buy a couple of new mattresses. 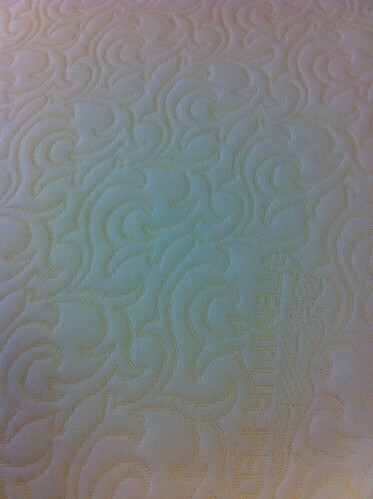 What a surprise to see that it looks like long arm quilters have taken over the mattress factories! 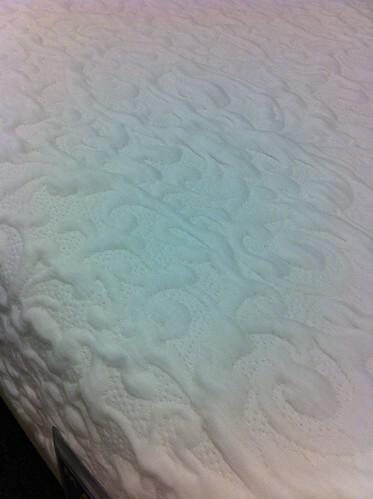 When I think mattress, I think of that classic ogee shaped tessellation, but look what else I found! 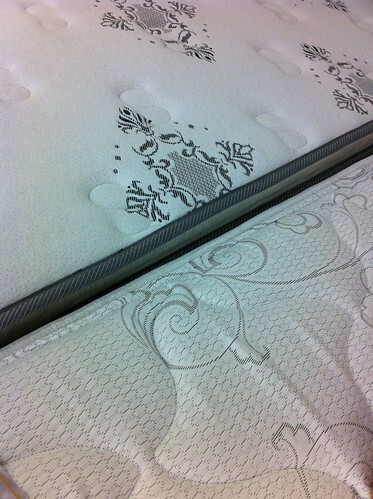 Pretty “mattressy” look on the right, but very understated quilting on the left. I see ties to matelasse and trapunto technique here. 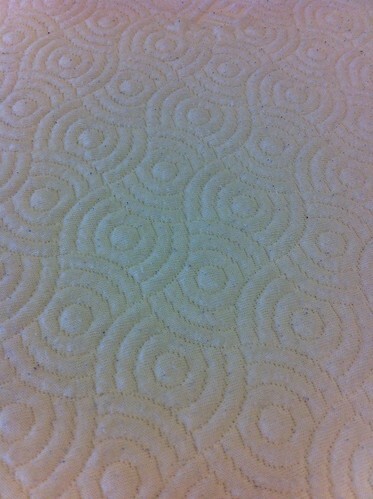 This could easily be an overall quilting design. This one doesn’t look “mattressy” at all to me! 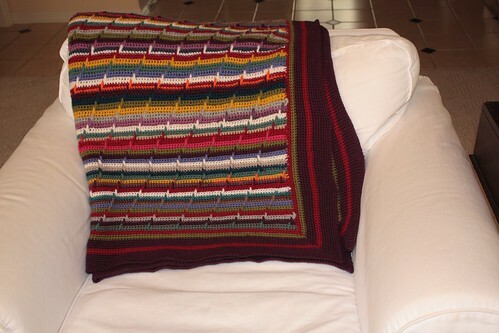 I think it’s more a cousin to the traditional Baptist Fan quilting pattern. 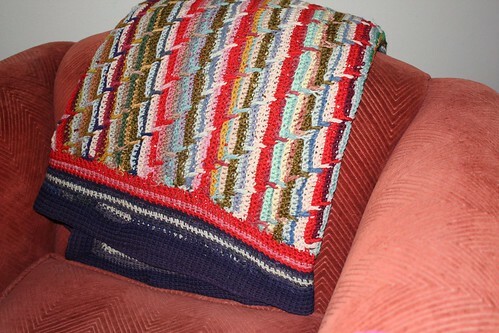 And finally, this totally reminds me of the imagery and quilting done by Laura and Linda Kemshall. We sometimes talk of taking the quilt “off the bed and onto the wall,” but here it seems the quilt has been taken off the bed and incorporated INTO the bed. Why not? They’re quite pretty. You’d think there was nothing going on here based on my lack of blogging. 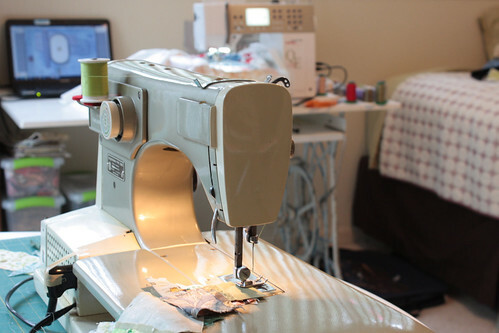 Actually, I’ve been immersing myself in art and am therefore spending too much time at the sewing machine and drawing table to blog about it. I promised myself when I moved that I was going to find a life drawing opportunity — both to practice my drawing skills and to expand my practices into something other than just fabric. I mentioned last week that I went to a drawing session at the McGuffey Art Center, and I returned this morning for more. I’ve been pleasantly surprised that my skills are not as rusty as I had expected, and I really like what I came home with today. I don’t know if it’s due to more practice, or if a model with chiseled tennis arms is just easier to draw. Either way, I’ll take it. In a chance coincidence, I also won a free spot in Melanie Testa’s online “Dream Journals” class. She’s given us many different techniques to try and we’ll see where it takes us. I’ve not had much experience with watercolors, so this is a good learning opportunity. Also, it’s got me drawing something every day (in addition to the once a week figure drawing), and you just can’t beat that! If that weren’t enough, the chopped quilt is progressing nicely, and I’ve finally started in on another apron. 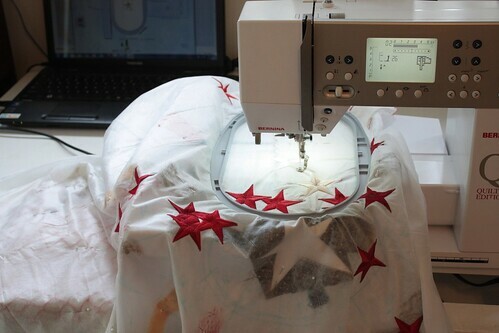 This one has a ton of machine embroidery which requires me not to actually do much, but to be ever present to swap threads or repeat the motif before the laptop goes to sleep and severs the connection to the sewing machine. So, I’ve been working on my painting/drawing while sporadically hopping up and down to tend to the embroidery. The kids start school next week, so things could really get moving then! This one is a sort of a replay. 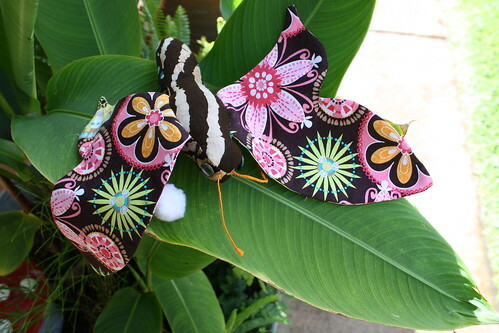 My and my daughter’s Metamorphosis project was featured on Caterpillar Eyespots on August 16th. I’m flattered that a real scientist would be interested in my craft project, and I think that Thomas did a lovely job of connecting my softies to real live caterpillars and highlighted the educational potential. I thoroughly enjoyed making that project and love that someone else appreciates it too. About six years ago, I vowed not to buy any more new fabric. There was enough in the world already and I could use new-to-me fabrics from thrift shops, flea markets, swaps, and our own old clothing. 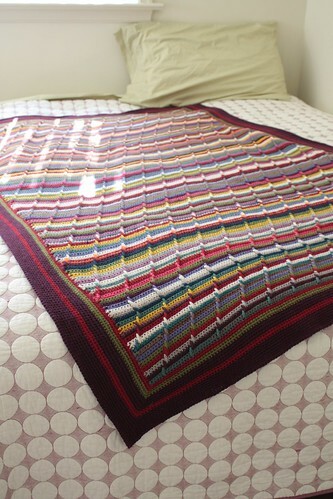 Well that lasted about a month until I needed a snuggly backing for a baby quilt. Still, I tread pretty lightly for about a year, but then got tired of smallish bits, and the lack of appropriate thrift shops where I was. 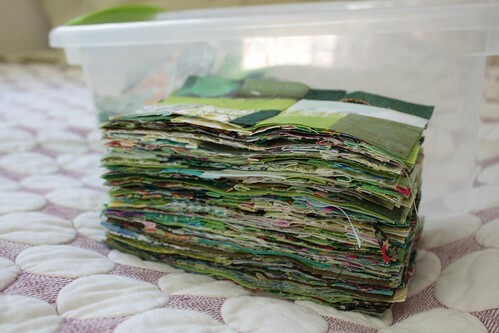 Besides, all the new fabrics that have come out since then are so pretty! After chopping up some sad quilts the other day and rearranging them into something more interesting, I needed about two yards of a deep blue to finish the project. 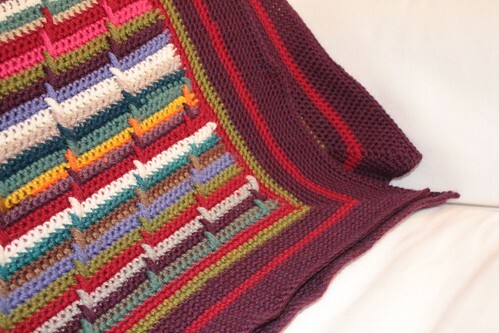 I came close to ordering my beloved Oakshott cross weave online, but then realized that the fabric really needed to be recycled — like the rest of the quilt. So, off to Goodwill I went. And guess what?! Now that I am NOT shopping at the Post thrift shop, or in an area where most of the second hand stuff is geared towards kids and pricey (Germany), or filled with pretty site specific fabrics (Hawaii), there was actually some great stuff to be had. I bought actual wool and cotton content! A sport coat and trousers met my needs for the current quilt, plus I bought two plaids because I liked them. And, bonus for me, a cotton blouse that is in good shape and fits me great! I am back to thinking that I could actually tread lightly again.